Welcome to E-startup India ! know the complete process how ISO 9001 implementing on your business. 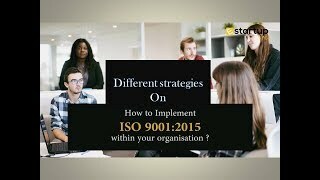 Watch video: know the complete process how ISO 9001 implementing on your business. Quick Registration - " E-startup India"
Edit profile - " E-startup India"
The site E-startup India Was built using MyFirstWorld - Free Website Builder !